A new chapter in Navy history began on January 25 when four F-35Cs arrived at Naval Air Station Lemoore, California, joining the VFA-125 Rough Raiders and reestablishing them as a training squadron. The jets’ arrivals mark the first time the new strike-fighter variant has been deployed to a West-coast based squadron, the recently reactivated “Rough Raiders” of Strike Fighter Squadron (VFA) 125. Nearly 400 sailors, families and local civic leaders witnessed the arrival and the accompanying ceremony marking the occasion. NAS Lemoore is the first west coast naval installation to have F-35Cs permanently assigned and is the Navy’s only west coast Master Jet Base. By the end of 2017, the base will have 10 F-35Cs, building to more than 100 jets in the early 2020s. 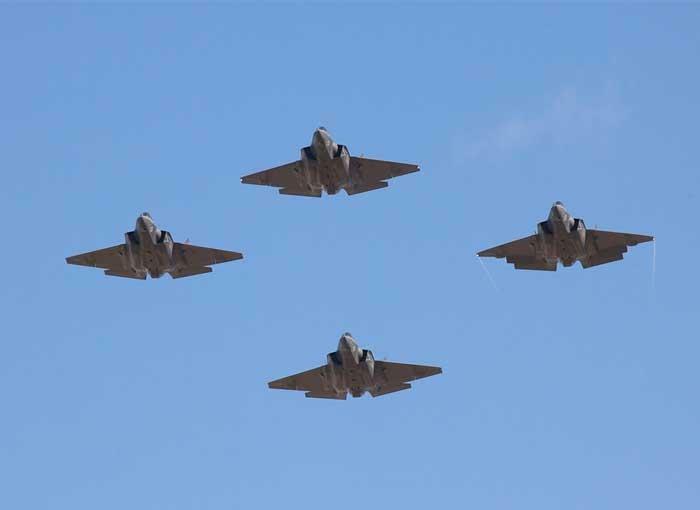 Four F-35Cs performed a flyby as they arrive at NAS Lemoore, marking their historic arrival to join VFA-125.